This is Lc. 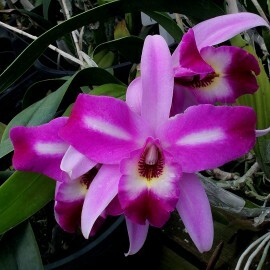 Mari's Song x L. anceps. Mother plant from Santa Barbara Orchid Estate, USA. These are in 50mm pots.